There’s been so much bashing of Big Pharma punching bag Martin Shkreli over the last year or so, you’d be forgiven for thinking his stuffing had been thoroughly knocked out. 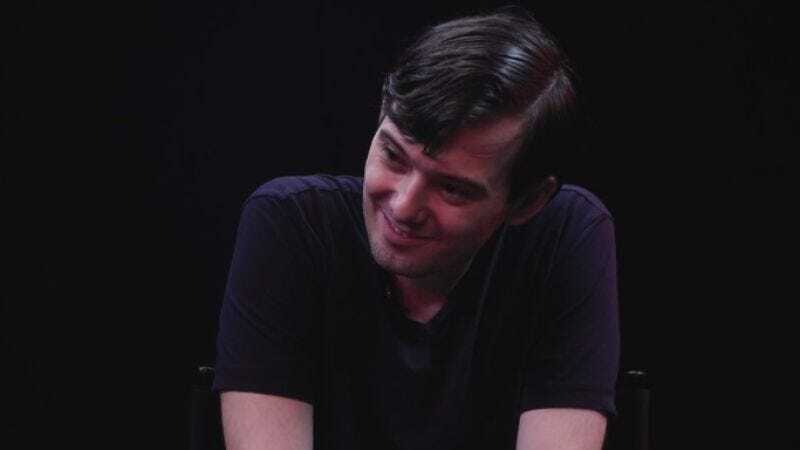 And yet, Seriously.tv’s Mary Houlihan has found a way to make mocking “Martin Skrillex” feel fresh again, posting an interview with the drug executive that serves as a reminder of why people fell in hate with him in the first place. And while it’s kind of fun to see Shkreli get bopped in the head by boom mikes, or ridiculed for his idiotic Twitter posts, that stuff is really just shooting smirking, obnoxious fish in a kneejerk-hate-shaped barrel. Houlihan’s interview is at its best when she skewers him on a more human level, blowing past his sexual remarks with a quiet, “Do you have any friends?” or repeatedly bringing her questions back to his impact on the AIDS community. Given that Shkreli spent the last year transforming himself into a sort of cartoon supervillain, buying up expensive albums and trolling comedians on Twitter, it’s a sobering reminder of why he became famous in the first place: acquiring a drug used to treat complications from HIV, and making it more difficult for those patients to obtain. So maybe he could use a few more jabs.